Group shot in Cal Anderson park, by Nicole Raine Photography. 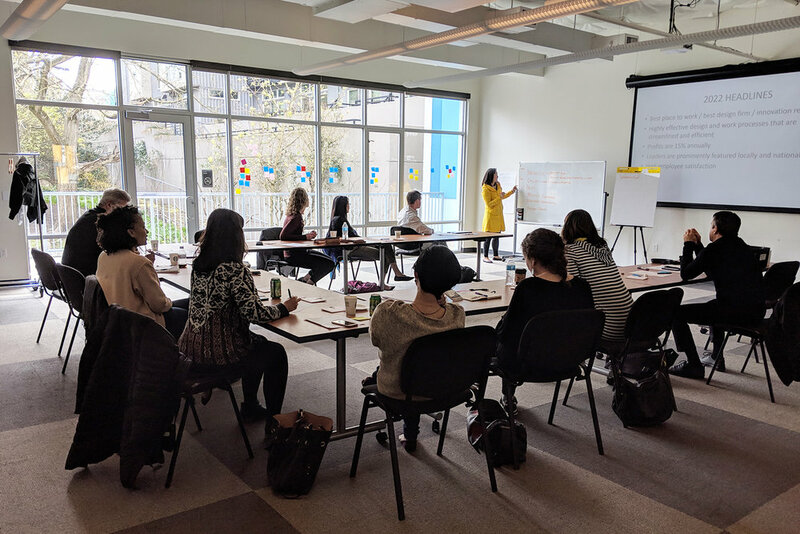 In preparing for our annual retreat, we did a recap of 2018. We did quite a lot so we thought we’d share. 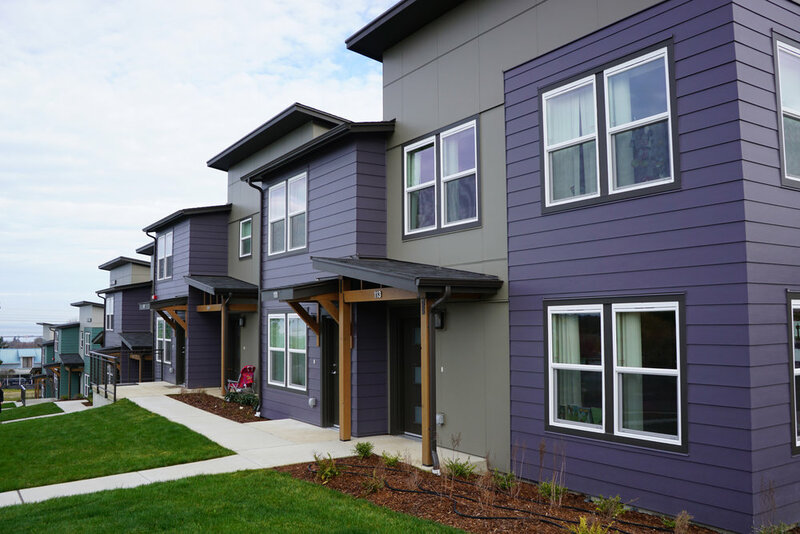 Sunset Court was the final project of an eight-year contract with the Renton Housing Authority. 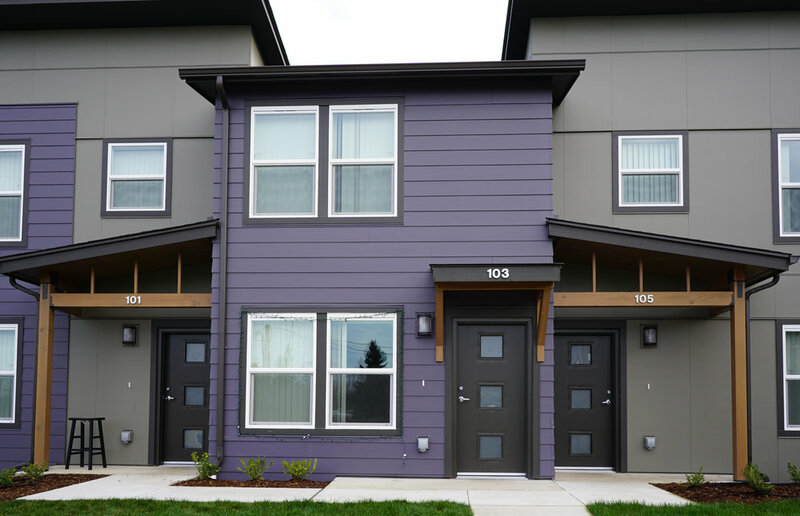 This 50-home community offers modern housing to veterans and a mix of low to moderate-income households. Designed around a central green space and a small grove of existing trees, this project embodies many aspects of community-oriented design principles of cohousing. The homes are a mix of flats and townhomes, ranging in size from 1 to 4 bedrooms. 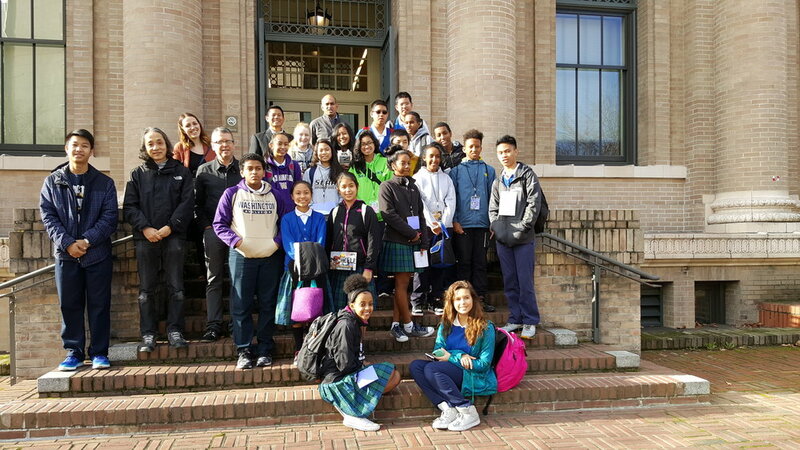 The project was designed to the Evergreen Sustainable Development Standards (ESDS) and incorporates sustainable features such as low VOC and locally sourced materials, edible landscaping, low-flow fixtures, and natural ventilation. Phase 1 of Mount Angeles View, a 63-home community in Port Angeles, WA. 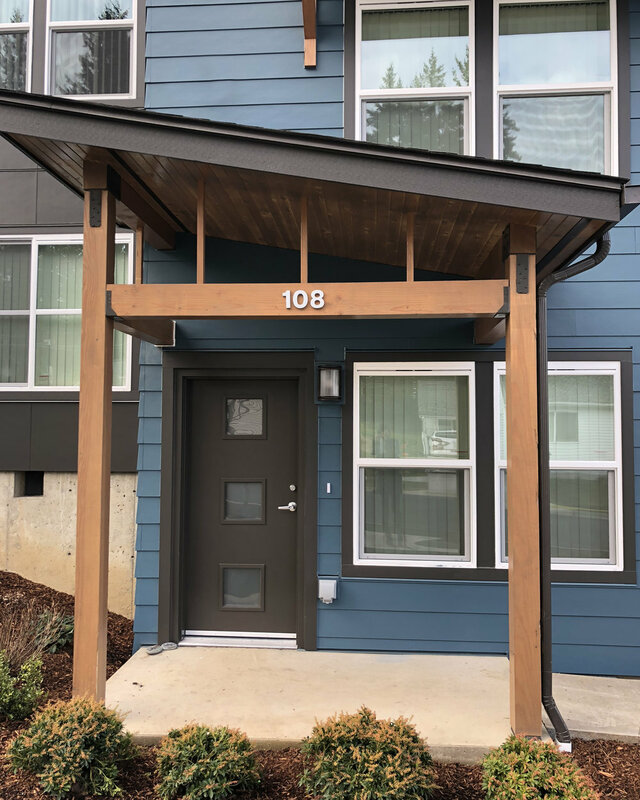 Located on a beautiful site at the base of the Olympic Mountains with views north to the Strait of Juan de Fuca, this site provides stable housing for low- and moderate- income households, so they can find success at work and school. The Peninsula Housing Authority has received many positive comments from the community at large about the catalytic nature of these homes – not just as affordable housing, but as a benchmark of future market rate development as well. The project was designed to the Evergreen Sustainable Development Standards (ESDS) and incorporates sustainable features such as low VOC and locally sourced materials, low-flow fixtures, and natural ventilation. ISRD Design Guidelines. Finished writing design guidelines for new development (particularly at larger scales) for the historic cultural district. Vision Meeker: City of Kent had recently established urban design guidelines for future development along Meeker Street – the main arterial through town. However, they knew the portion fronting Kent Elementary School would not likely be developed since the School District did not have plans for redeveloping the school. Schemata Workshop worked with the students, parents, and teacher at Kent Elementary to develop ideas for how to improve their playground experience and provide a better and safer buffer along Meeker Street. Kaiser Permanente WA Rebrand: Schemata Workshop partnered with NBBJ to implement a new design strategy at 5 sites for KP WA’s rebranding as they took over the Group Health facilities across the state. Schemata lead the effort for 4 sites in Kent, Lynnwood, and Spokane. 2019 Staff Retreat at 12th Ave Arts. Construction at Queen Anne Bungalows in lower Queen Anne. This was supposed to be a 3rd story addition but turned into a major renovation project. Construction at the TOD sites on Capitol Hill is well underway! Schemata team is working on two buildings B-North (a.k.a. Station House) & B-South. The projects have two different owners, Capitol Hill Housing and Gerdin Edlen, and are being constructed by two separate contractors, Walsh and Lease Crutcher Lewis. The Station House will provide 110 homes, made up of a mix of studios, 1-bdr, 2-bdr and 3-bdr dwelling units which will serve people making up to 60% of the AMI. The building also includes a Community Room that will be available for rent / use by the public. The B-South project is comprised of 74 high-end apartments, 20% of which will serve people making up to 80% of the AMI. This project also includes more than 3000 sq ft of commercial space. Both projects are scheduled to be completed in March 2020. Masterplanning for a renovation at Kappa Delta sorority house at WSU in preparation for their Centennial. We also started 3 new cohousing projects. Skagit Cohousing selected Schemata to design a new community in Anacortes for 30 families. Their site contains a wetland and has distant views to the water and mountains. While this group is mostly seniors, they look forward to welcoming families. They have members who are currently living in Arizona, Hawaii, and Massachusetts. Located in Hood River, Adams Creek Cohousing selected Schemata to design a new community of 26 homes. This group is very local with only a few households currently living in Portland. They have a number of young families as well as boomers. Their site is wooded with an active creek and a lot of topography. Marysville will be home to Sunnyside Village Cohousing. Their site has been previously cleared which makes it suitable for the significant gardens that they have already started planting. This community has a strong value towards living lightly on the earth and environmental stewardship so their future generations can live sustainably on the site. This community is multigenerational. Retreat lunch break at 12th Ave Arts. 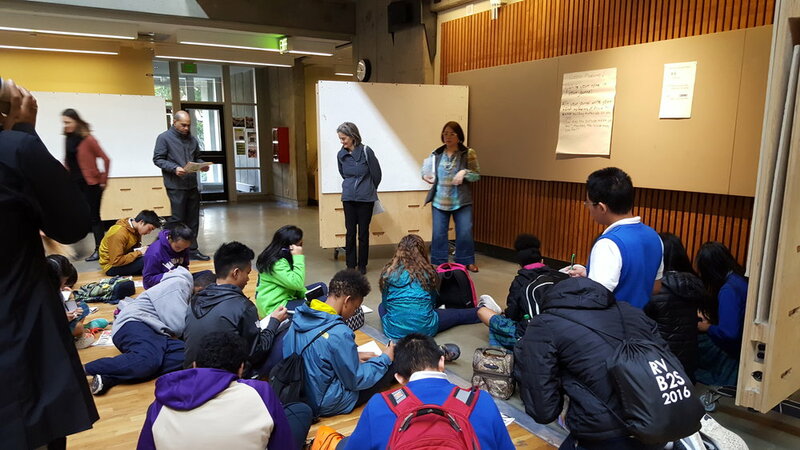 Marge, Joann, Marijana and Grace led SAF workshop for Rainier Beach High School. 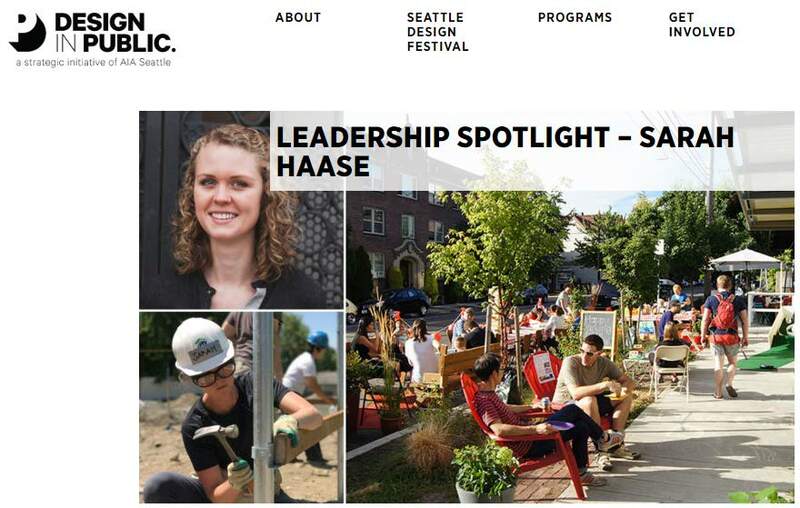 Marge was voted on to the Board of Directors for AIA Seattle. Tegan and Emma started at Schemata. Guy and Mira celebrated 5 years at Schemata. Post-retreat bocce at Rhein Haus in Capitol Hill.